The first-year housekeeping students gathered excitedly outside the building, eagerly awaiting to start their first day of classes. After an insightful and busy first week at PROJECT-E, I was nervous to start my lesson plans. Would the students be willing to speak to me in English? Would cultural differences be stressful, amusing, or remarkably different between the two groups? As a new instructor, I was very nervous but excited to see how my teaching would go! In mid-August, the PROJECT-E Team Europe met once again for the traditional Strategy Weekend to plan the upcoming year, reflect on past work and, of course, meet old and new team members. Welcome to our new Housekeeping Short Term students! 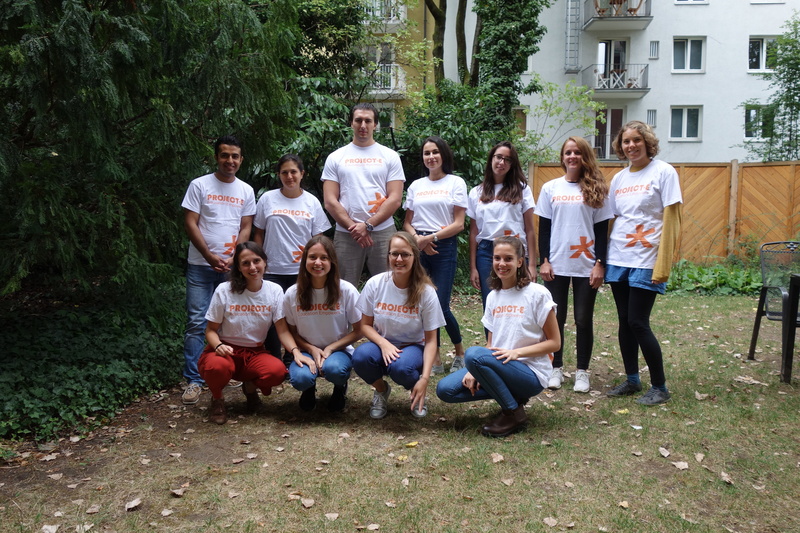 30 students began with the short-term programme at the PROJECT-E Hospitality Institute. This new programme aims at women who already got a family and have to take responsibility in their life while seeking change and further education. 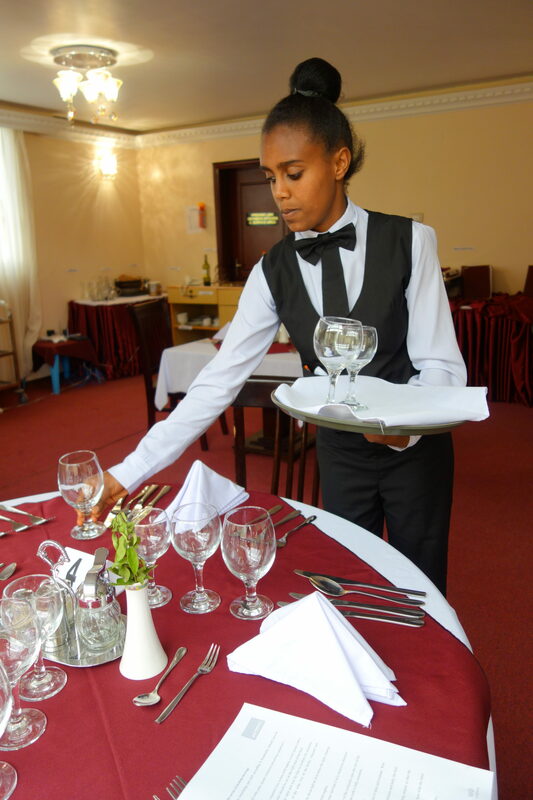 PROJECT-E is financing the tuition fee, equipment, breakfast, and examination fee to become a regular worker in one of Addis Ababas middle-class hotels! 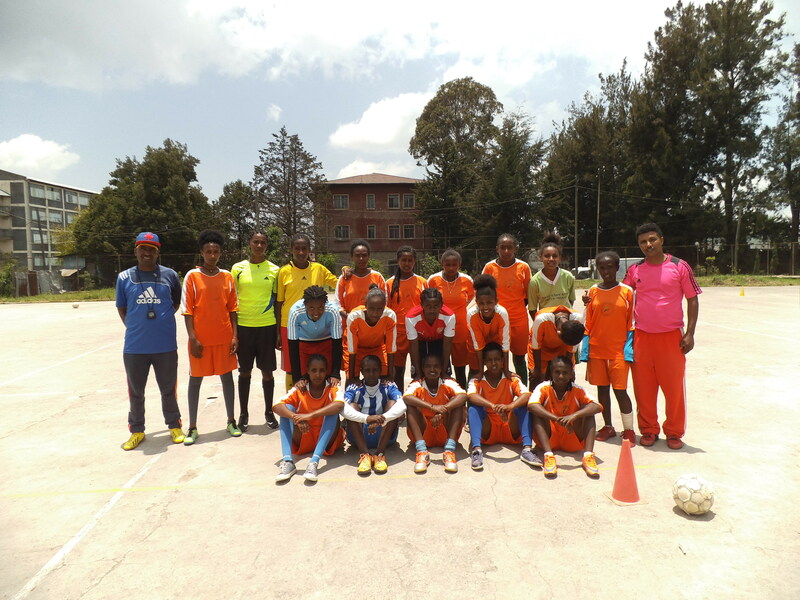 For PROJECT-E’s first year students it has been an exciting end to their academic year as they embarked on their internships at some of Addis Ababa’s most prestigious hotels in April and May 2018. This was always going to be met with a little bit of nervousness trepidation by the students as it was their first step into the public hospitality arena – it can be difficult at first to transfer the skills learnt in the classroom into a real scenario where there is extra pressure to perform well in front of potential employers. 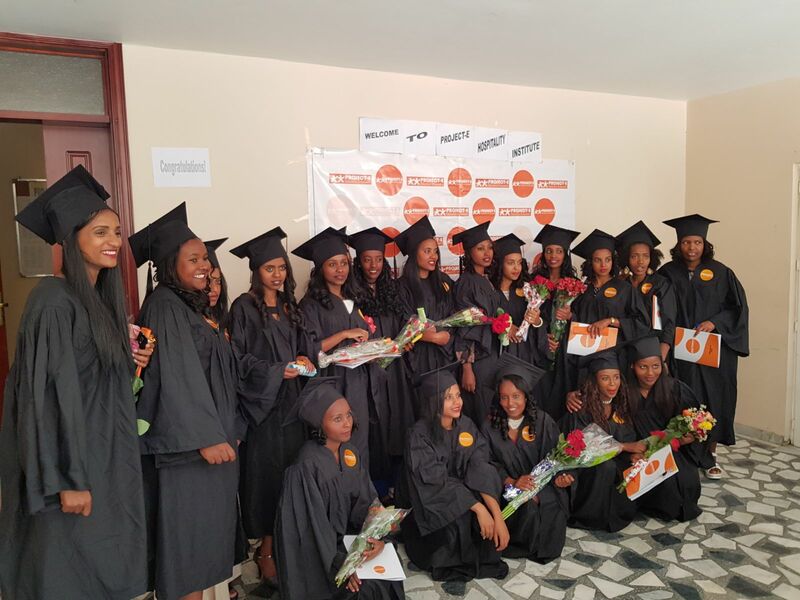 It was especially challenging for the students as they were no longer comforted by the collective presence of their peers – although they remained roommates, most of the young women had their internships at different hotels in Addis. On Saturday 28th April, PROJECT-E celebrated an important day. The second batch of Hospitality students at PROJECT-E finished their level 1 & 2 programme and graduated that day. Within the two years that have passed by, it was great to see these young ladies grow and develop into more confident and independent women. As their careers finally begin, they will finally be able to see all their knowledge and hard work be put to use. 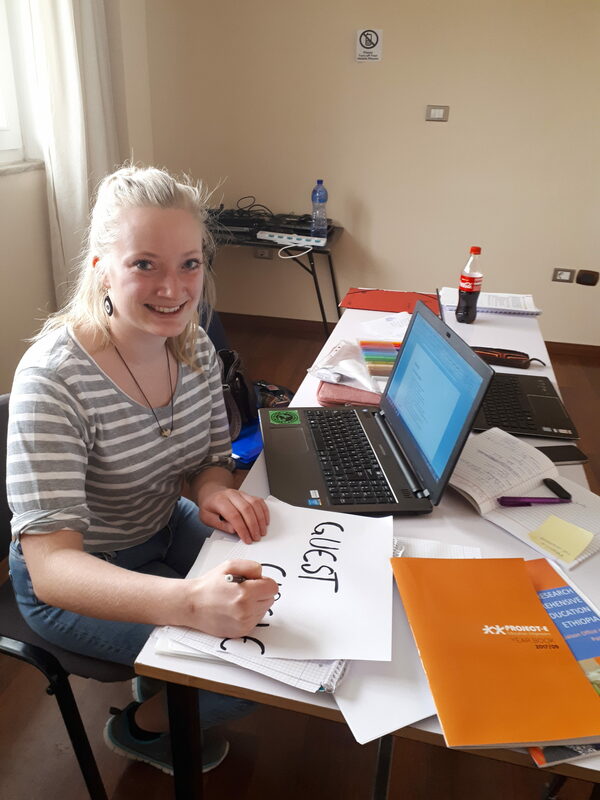 Before my departure, I couldn’t wait for the end of my university term because I was supposed to spend my vacation in Addis Ababa for one month to support PROJECT-E. Two weeks before my arrival in Addis, I started to be an active member of the Fundraising Department in Team Europe. 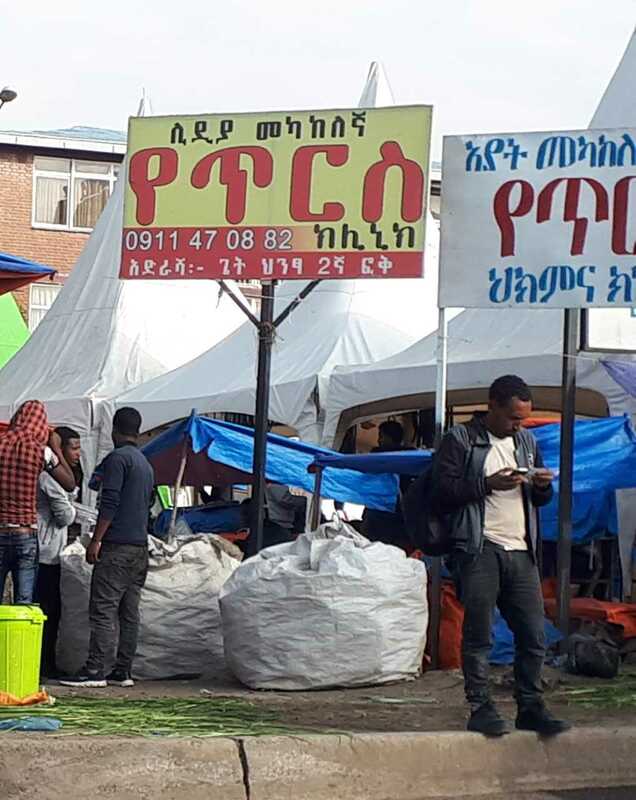 When coming to Ethiopia, many people expect English to be an official language and are surprised to learn that, in contrast to other countries in East Africa, English is not among the official languages. Ethiopia is probably one of the oldest independent states in history. The country successfully fought and prevented a colonialization and could therefore preserve its own languages. Ethiopia’s official language is Amharic (Amharigna) and its origin goes back to 2000 years ago. Amharic belongs to the Semitic language family, which also comprises Arabic and Hebrew. Besides Amharic, there are around 80 other languages and 200 dialects spoken in Ethiopia, as for example the languages Tigrigna, Wolaytigna, Somali and Oromigna. However, Amharic represents the official language and is spoken by a quarter of Ethiopians population, with around 22 million speakers. It has been a stormy first week for me as the new volunteer at the hospitality institute in Addis. 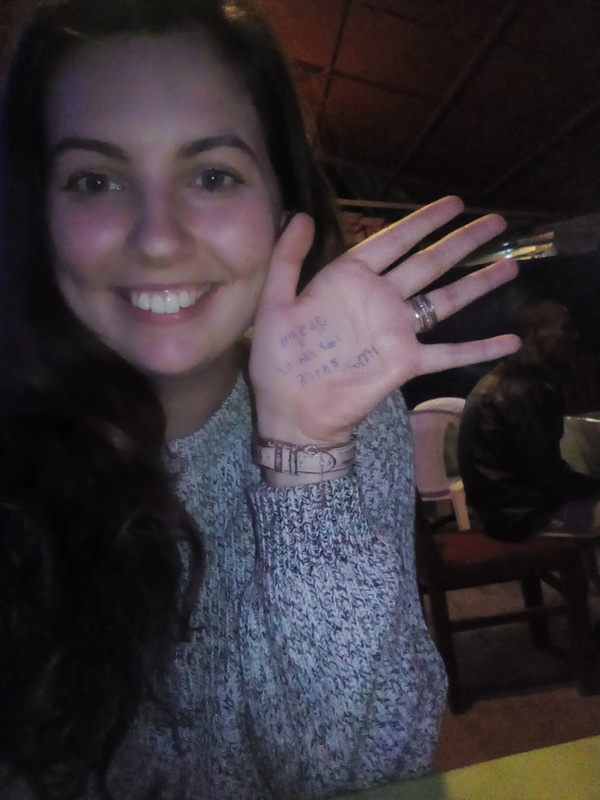 I am currently writing my master thesis in Development and International Relations at Aalborg University in Denmark and arrived here from my internship in Brussels where I was introduced to Ethiopia for the first time. The more I was working with Ethiopia the more I wanted to go and see what this country has to offer. 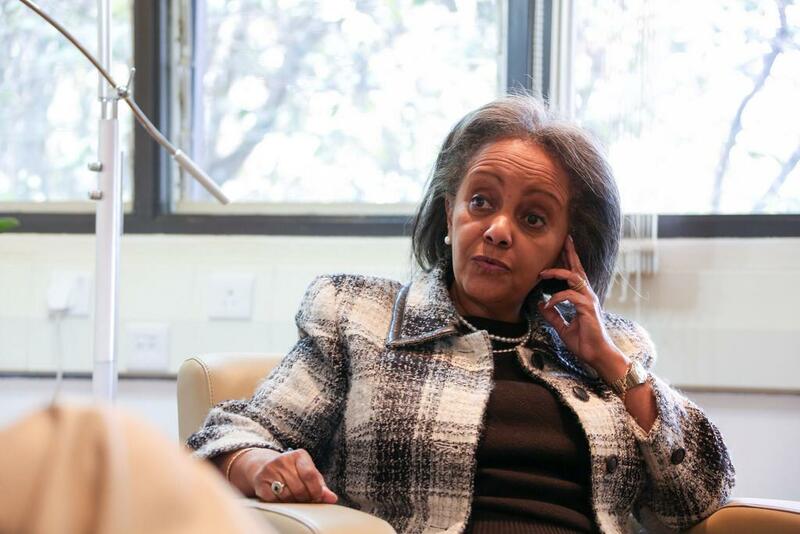 So when I finally arrived in Addis, I was full of excitement and curiosity and so far I am still stunned by everything I see and experience every day.